I am ‘switching off’- a long break from work. That is a rather corny link. I have been listening to some old music these past few weeks. This Cd made it into the car- I wanted to find out what got me into Elbow after I had heard of them from one of the lead singer’s close friends who used to be a member of a church I led. Once again: this song hit me. The tune is haunting, but I have been aware that with so many changes over the last year, I need to switch off….and once I switch on, look at what comes back. I could just keep posting ‘Duke Special tracks, since the gig in this village has been confirmed & I am incredibly excited (http://www.wegottickets.com/event/275321). I may put a few up in forthcoming Fridays. However, back to Elbow & the new album has got staying power: it keeps calling to me and I hear something different each time I put it on. I often find myself singing or humming this one. ..which I think is unutterably lovely…. I first got into Elbow through a childhood friend of Guy Garvey who was part of a church that I used to be the minister of. In the 12-13 years since then I have got a lot out of their music: never bland stadium rock, but heartfelt emotions, Northern and about real life. I saw them once, in the open air, supporting U2. This came out this week and was part of my birthday present. I have just started to listen to it and it hasn’t ‘lived’ in me yet, but I warm to its reflections of being 40 something, being aware that there is plenty of life to live yet, but being aware that time is slipping away. This track stands out at the moment as for the first time in my life, I have a collection of ‘sad captains’: 40 something men who while away most of the time after Friday teatime together. They walked into the village chapel, at least 20 years younger than the youngest there. They were living together in a caravan park, trying to feel their way back into a faith that had once seemed so real. Artistic, full of questions and full of life, they stayed; attracted by the love and acceptance shown to them. In time, they got married, moved away and got their own place. They found a church home, flourished in jobs and eventually became parents. He had often talked to me about a friend whom he had known since childhood and was now heading up a rock group called Elbow. I began to listen to them when our paths diverged. Around the time of ‘The Seldom Seen Kid’ with its themes of love, life, mortality and the loss of a friend tragically early I got a letter: she had died leaving him on his own with a one year old. All that hope, life and potential gone. I love the beauty of ‘The Seldom Seen Kid’, I love it more as it reminds me of them and their story. It moves me more because of them. It makes me steer away from anything that seems to say ‘Believe and you will have no problems’. And then last week, I bumped into him and his son in a North Wales garden. It was the day after he got engaged to a new partner. I met her as well. This was no rush into a new relationship; in that garden his late wife was spoken about with celebration and grief. Of all the chance encounters I have had, this one was probably the sweetest. There is hope. 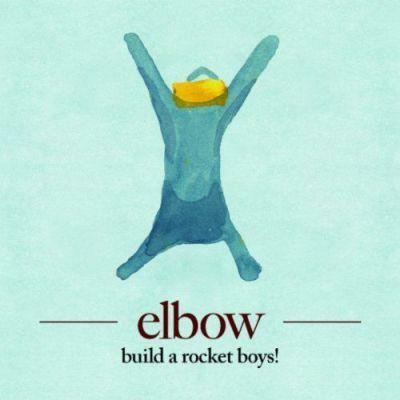 Oh, Elbow: you do something to me…. It is my birthday today. It is my single birthday:45 (45rpm….geddit?…nevermind). I may have disporoved my thesis that you cannot write good, happy rock songs. I have their new CD on order as a belated present…bliss…. Mind you, on past history, I will believe it when I see it: this has been mooted since mid 2009. Still, Elbow are releasing next month…. In Britain it is half term in our schools. I’ve always liked this time: admittedly more so since I had children. I love it more since I became a professional Christian (irony intended). In September, the intensity of what I do cranks up from comatose August. Most of this is good; in September I find many people willing to think new things, more so than in January. So there are lots of meetings; many good if churches remember that these are times of openness, dreaming, vision and asking questions. Many bad if churches want to box in the messiness of life and church and make things tidy and in order. After a while though, I just want to draw breath; ceaseless activity all the time makes me tired and ‘thin’ as a person. So mostly this week I will be switching off, turning off and letting go. This was never ‘my’ church and this week is a chance to sweep out of me any rubble that is labelled ‘my’church and ‘my’ ministry.